Canadian cross-country skier who became the first man, along with teammate Alex Harvey, to win a gold medal for his country at the World Championships, doing so in 2011. He grew up playing a variety of sports, including hockey and badminton, before focusing on skiing. He won 18 National Junior medals before making his senior debut. Prior to their historic gold medal in 2011, he and Harvey finished fourth in team sprint at the 2010 Winter Olympics, the country's best finish for male cross-country skiers. He was born to Will and Maureen Kershaw and has two younger siblings, Linnaea and Sean. He married Kristin Steira in 2015. 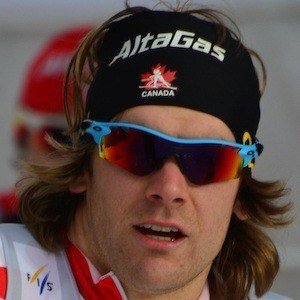 He competed against Petter Northug at the 2011 Tour de Ski.